In my first job after graduate school, I came to understand how little it takes for the world to slip into darkness. I worked for the Anti-Defamation League in New York as a researcher on domestic extremism, and in these difficult days after the election I’ve been thinking a lot about that experience. In those pre-Internet days I gleaned information from mimeographed hate rags inked in purple, sooty newspapers that were ungrammatical and turned my fingers black, and crude invitations to KKK rallies and white supremacist gatherings. It finally struck me that I had the weirdest occupation in the world when I saw how taken aback people were when I told them that I monitored Klansmen and skinheads. Working on the ADL right-wing desk was an immersive experience, and within weeks I inadvertently became one of the country’s foremost experts on the Ku Klux Klan and neo-Nazi groups. I wrote reports that I sent to the FBI and the Bureau of Alcohol, Tobacco, Firearms and Explosives. The extremists were not fooled by the anonymous post-office box or the pseudonym I used to subscribe to the hate material. They eventually learned my name and it alternately amused me and terrified me when they attacked me in their hate-filled screeds. These days I often think about my time monitoring what I was sure was just a lunatic fringe. But after the divisive 2016 presidential election, David Duke is back in my newsfeed, only this time he pops up in mainstream media. Men who are well spoken and project a clean-cut image that belies their anti-Semitism and white supremacist views get unprecedented airtime on the network news. A close advisor to the president-elect is well known for his anti-Jewish animus. 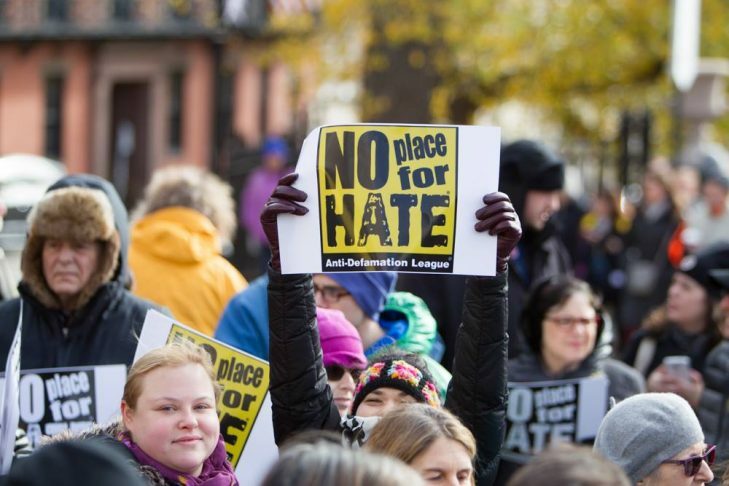 I’m a writer, not an activist, but I went to the Massachusetts Speaks Out Against Hate rally that the Anti-Defamation League of New England organized with the participation of 30 like-minded organizations, including Combined Jewish Philanthropies. On a cold November Monday morning I joined my rabbi and members of my temple at the Massachusetts State House in a show of solidarity. These days I cannot simply read about what’s happening in this country that I so love. I have to speak up about post-election hate crimes occurring in Massachusetts and throughout the country. I have to speak up about the hate-mongering seeping into our lives. Bystander intervention is a simple and effective way to counter hate and intolerance. If I could ask the people in the store to do one thing, it would be to step in—support and engage the person being targeted by talking to them, escorting them to a safe place, and ignoring the aggressor. Even if that is uncomfortable, we can ask those around us to step in themselves or with us, and we can contact local law enforcement. The unfortunate reality is that many of us will witness racism, Islamophobia, homophobia, and other forms of discrimination, so this lesson applies to everyone. 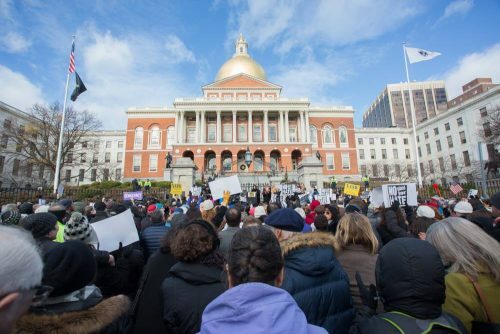 Mayor Marty Walsh, Attorney General Maura Healey, CJP president Barry Shrage and other community leaders joined Singh on the steps of the State House. Healey said that Massachusetts’ citizens had the resources of her office at their disposal. 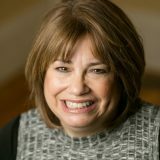 In recent weeks she has launched a new hotline to report hate crimes and bias-motivated harassment. Walsh told the crowd of 400 that the city of Boston is a place where hate will be countered with love. And yet I can’t shake my sadness over the raw reality that my former job at the ADL is more relevant than ever.